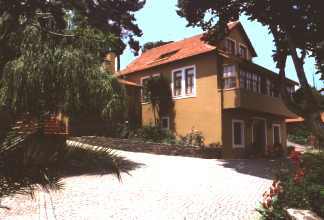 Accommodation at Quinta da Avozinha Portugal. This beautiful house was built in 1930 and has recently been restored to very high standards. 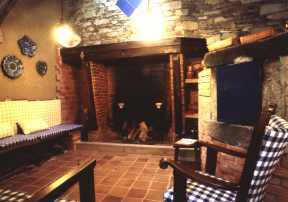 It is located in a small village near the city of Braganca where guests can experience traditional rural life. 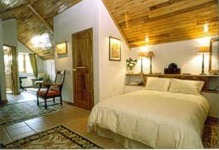 Quinta da Avozinha is situated on a hillside with views over the valley of the River Sabor. On a dark hillock above Braganca, the remote capital of Tras-os-Montes, Portugal stands a circle of perfectly preserved medieval walls rising to a massive keep and castle enclosing a white medieval village. Nearby is the Citadela, which is one of the most memorable sights in Portugal. This is a small hill, seemingly untouched by the centuries, with a hamlet whose size is wonderfully at odds with the royal connotations of the town's name. The Bragancas were the last line of Portuguese monarchs, ruling from 1640, when they replaced the Spaniards, until the fall of the monarchy in 1910. To the British, the name is most readily associated with Catherine, Queen to Charles II. For the Portuguese, the town represents the defence of the liberty of the people, for the Bragancans were the first to muster a popular revolt against Junot in 1808, and have always defended their right to make their own decisions. This house is perfect for anyone interested in a bit of 'wilderness' hiking, though, the nearby Natural Park of Montesinho provides some unforgetable walks. The owners of Quinta da Avozinha would be delighted to show guests the area. They have also organised a guided tour (maximum of 8 persons) of the wildlife in the National Park. Other activities such as a traditional gastronomic route are also available to guests, making this an unforgetable holiday. Quinta da Avozinha has 2 double rooms, 1 twin bedroom and a suite, all with ensuite bathrooms, air conditioning and central heating. The suite has a private veranda, where breakfast is often served. It overlooks the gardens and the private orchard. Quinta da Avozinha offers several facilities, a swimming pool, tennis court, games room with table tennis and table football, a living room with a open fire place, Satellite television and bar, etc. A recently built spa facility with massage and jacuzzi is available for guests (extra cost applies). 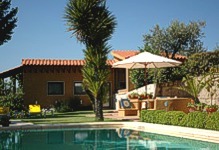 Clients staying at Quinta da Avozinha have 10% discount. The swimming pool is located in the garden, in a lawned area. Swimming pool's dimensions are 9,5 by 5 meters with a maximum depth varying from 0,85 to 1,76 meters. In the garden there are many sitting areas from where guests can enjoy from lovely views of the surrounding area. Meals are served on request and guests should take the opportunity to sample the home made meat dishes which are cooked in a traditional charcoal oven. The house is located approximately 205 kilometres from Oporto and only 20 kilometres from Spain, both easily reached by the road IP4. There are also regular flights from Lisbon airport to Braganca airfield, which takes about 50 minutes. This property is approximately 3 kilometres from Braganca town centre, which offers a good selection of shops, restaurants and supermarkets. we stayend a Quinta d'Avozinha at Bragança. We wee the only guests at that moment (end of september) and because we couldn'nt find the quinta by GPS our host came to us at the small town to accompagne us! What a nice house ans what a lovely decorated room, so quiet, such a view and so much privacy in acceptable luxury! we were very pleased with our 2 nights over there!